John Schulz is a certified Airline Transport Pilot, Aircraft Mechanic, Pilot in Command qualified, and type rated in the Citation III/VII. John grew up in Fond du Lac, Wisconsin where he started flying at the age of 17. John spent many years flying civilian and military skydivers. 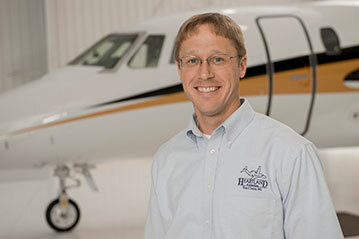 In addition, John has flown for several Charter and Corporate operations, accumulating over 8000 hours of flight time. John has been happily flying for Heartland Aviation since 2015. He enjoys anything that flies, skydiving, dirt bikes, and spending time with his Girlfriend and their dogs.